Russia is hustling to find export customers for its latest Su-30 model, the Su-35. The Russian Air Force will receive the first of these later this year, and export customers have been promised early delivery. There are few takers so far. There's just too much competition out there, from late model F-15s and F-16s, plus Rafale, Eurofighter and Gripen. The U.S. F-35 is on the way as well. That said, the Su-35 is an impressive piece of work. It’s pitched as more reliable and durable than past Russian fighters, good for 6,000 flight hours (compared to 2,500-4,000 hours for earlier models). The big selling points are the sensors. 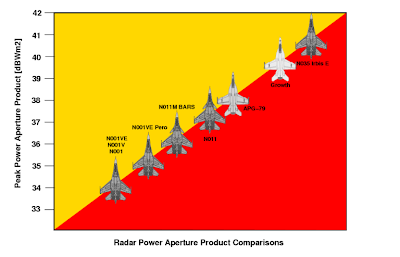 There is a phased array radar that can spot large targets (like B-52s or AWACS) at up to 400 kilometers, and an infrared (heat sensing) passive radar with a range of 80 kilometers. 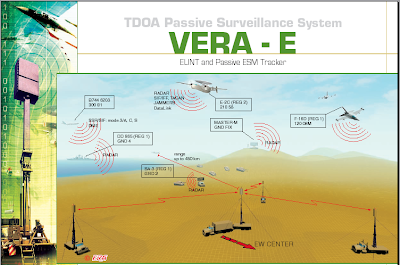 The active radar can also track targets on the ground and use smart bombs. The Su-35 is more maneuverable than earlier Su-30 types. At one point, the Su-35 was touted as competition for the F-22. It isn't. That competition would be the PAK-FA, which had its first flight earlier this year. There are only three prototypes of the Su-35, and one of those crashed last year. The cause was a problem with one of the two engines. Russia had hoped to have the destroyed prototype fly over the May Day parade in Moscow on May 1st. The crash was really bad PR, since one of the consistent shortcomings of Russian warplanes has been the unreliable engines. Quality Assurance adalah pokok utama dalam menjaga dan meningkatkan kualitas inovasi pengembangan dan produksi berkelas dunia, demikian catatan penting yang diperoleh dari Eman Mansur, salah satu tenaga ahli di bidang composite, pada saat mendampingi tim bersama berbagai lembaga yaitu Hari Purwanto,Staf Ahli Menristek Bidang Hankam, Kementerian Riset dan Teknologi, Mayjen Mar Baharuddin, Staf Ahli Panglima TNI Bidang Industri Teknologi Militer, Markas Besar TNI, serta Edy Siradj, Staf Ahli Menhan Bidang Industri Teknologi Pertahanan dan Brigjen TNI Agus Suyarso, Direktur Teknologi Industri Pertahanan, Kementerian Pertahanan dalam kunjungan kerja lapangan pada Kamis, 29 Juli 2010 di galangan kapal cepat PT Lundin Industry Invest Banyuwangi. Dalam kunjungan kerja tersebut, membuktikan bahwa kualitas dan daya saing industri memerlukan dukungan keterlibatan lembaga litbang dan pengujian serta perguruan tinggi, dalam hal ini diantaranya tercatat Balai Pengkajian dan Penelitian Hydrodinamika, BPPT dan ITS Surabaya serta universitas New Zealand terlibat dalam mendukung pengujian model berbagai inovasi produk kapal cepat yang saat ini telah mendapat kepercayaan pangsa pasar kapal cepat dari Brunei, Malaysia, Thailand, Italy serta tentu saja dalam negeri guna kepentingan sipil (sport, diving, fishing, turisme) maupun militer (patroli keamanan pantai dan perairan laut) diantaranya jenis X2K Special Ops RIB dan X2K Interceptor RIB yang sangat dikenal. “Indonesia adalah negara maritim maka sudah seharusnya pertumbuhan industri swasta kecil menengah serta besar berbasis kelautan harus menjadi industri andalan nasional, termasuk diantaranya tumbuhnya kebutuhan industri dan teknologi kapal cepat tangguh berdaya saing kelas dunia”, ujar Lizza Lundin, Direktur PT Lundin Industry Invest. Salah satu kesimpulan yang dapat ditarik adalah pentingnya kebijakan terpadu guna akselerasi “support” keberhasilan proyek-proyek R&D swasta yang didukung kuat lembaga litbang dan perguruan tinggi yang berkelanjutan guna membangun kemampuan teknologi kelautan dan perkapalan nasional berkelas dunia. Sehingga kedepan terbangun simpul-simpul rantai sistim inovasi nasional yang kuat dan terintegrasi guna diarahkan untuk meningkatkan pertumbuhan investasi dan peningkatan kemampuan inovasi nasional berpangsa internasional. MANILA, Philippines (Xinhua) -- The United States has started implementing a program aiming to prove the precision capability of Philippine military aircraft and help the country in its fight against terrorist groups and other armed groups, the Philippine defense department said today. "It's a program for the enhancement of the precision capabilities of the aircraft that is supporting our ground troops in the South. So the equipment that will be provided will be basically some software and other equipment which will allow us to perform this enhanced precision capability for the Air Force basically," Department of National Defense spokesman Eduardo Batac. The 4 million U.S.-dollar project, inclusive of softwares, will be installed to OV-10 planes used by the military in dropping bombs and firing rockets at enemy positions. The Philippine air force currently has OV10s although only 10 are operational. Batac stopped short of saying how many aircraft will be equipped with the system. But once completed, Batac said, the aircraft equipped with enhanced precision capabilities can deliver munitions on the enemy even when there is limited visibility. 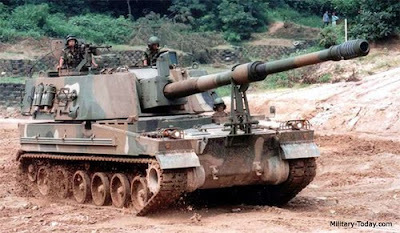 PETALING JAYA: Foreign arms manufacturers are eyeing a possible tender to supply the Malaysian army with up to 18 self-propelled howitzers (SPH). An SPH, or artillery, is mounted on a tracked or wheeled motor vehicle. An armoured tracked SPH usually resembles a tank. 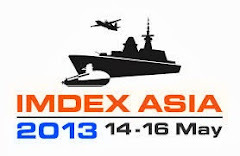 The Malay Mail was informed by defence industry sources that at least four manufacturers were eyeing the programme which is expected to be funded under the 10th Malaysia Plan. The SPH programme was included in the two previous Malaysian plans but procurement was never finalised due to budget cuts and other priorities. However, there has been no official word from the Defence Ministry or the army on the matter. The lack of official announcement has not stopped manufacturers from promoting their products, leading to speculation that a tender will be called soon. At the recent Eurosatory land defence exhibition in Paris, a Malaysian army delegation was extensively briefed by exhibitors displaying their SPHs. 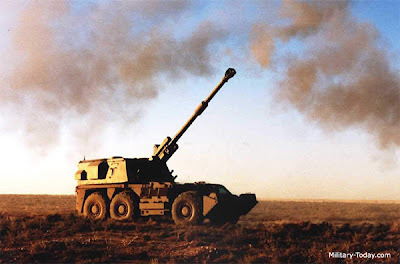 Our army, which operates up to 30 G5 and FH-70 towed 155mm howitzers, purchased some 30 years ago, reportedly hoped to procure 18 SPHs to form a single battalion for its armoured brigade. 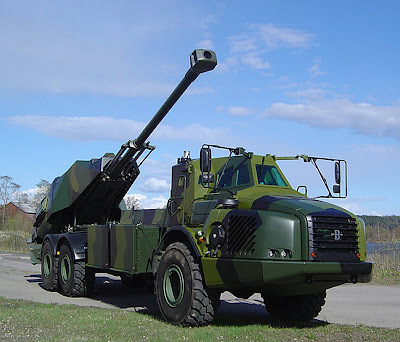 Among the four interested manufacturers reportedly eyeing the SPH tender were Sweden's Bae Systems Bofors Archer, France's Nexter Caesar, Germany's KMW PzH 2000 and South Korea's Samsung Techwin K9 Thunder. Both the Archer and Caesar are truck-mounted SPHs while the German and Korean contenders are tracked vehicles. 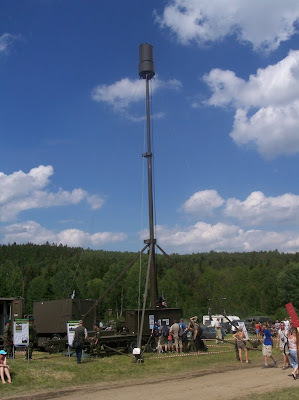 In recent years, the trend for SPHs has progressed towards truck-mounted vehicles as exemplified by Archer and Caesar as they are considered more mobile than their tracked counterparts. Being truck-mounted, these vehicles also offer lower maintenance and life-cycle costs, and an extended service life. The Archer has a combat weight of 30 tonnes while the Caesar has a relatively lower weight of 17 tonnes. The PzH 2000 combat weight is 53 tonnes while the Korean entry comes in at 49 tonnes. Although both the Archer and Caesar may suit the Malaysian army requirements better compared with tracked vehicles, they reportedly cost US$10 million (RM32 million) and US$5 million each, respectively, mostly due to the limited number of units. Only 48 Archers have been procured so far, all of which were ordered by the Swedish and Norwegian armies, while up to 200 units of the Caesar have been ordered by the French, Thai and Saudi armies. 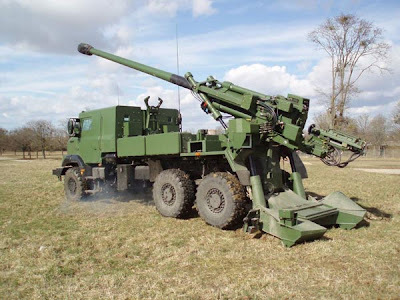 The PzH 2000 reportedly costs US$4.5 million each although the ones being offered to Malaysia are completed vehicles which were used by the Dutch army may have brought down the price. The Thunder is probably the cheapest contender with a reported per unit cost of US$3 million although it also comes with supply vehicles designated K10 Armoured Resupply Vehicle (ARV). The ARV, which uses the same chassis, is responsible for re-arming the K9. South Korean SPH battalions with 18 Thunder also operate 18 K10s. Some 550 K9 Thunder have been procured by the South Korean and Turkish armies. Turkey locally manufactures the Thunder under the designation T-155 Firtina. Apart from those four manufacturers, Denel of South Africa is also expected to enter the fray when the tender is offered. The South African firm is expected to offer its G6-52 wheel chassis SPH. The G6 reportedly costs around US$4 million per unit. Construction has begun on the Royal Navy's first Queen Elizabeth Class aircraft carrier, HMS Queen Elizabeth, at the Cammell Laird shipbuilding facility in Birkenhead. 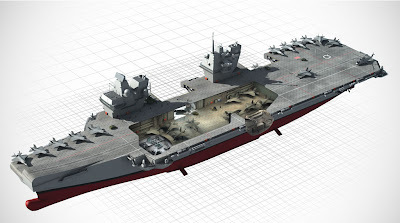 Cammell Laird will build two of the sections that will make up the ship's giant flight deck under a £44m ($68.3m) contract awarded by the UK Ministry of Defence. The weight of the combined sections is 7,500t, which is more than a Royal Navy Type 45 destroyer. 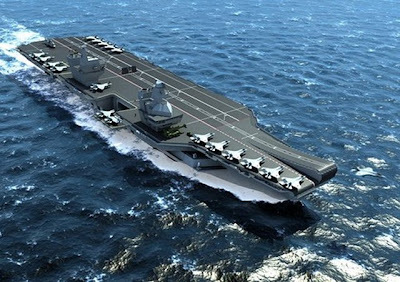 Royal Navy staff assistant chief Rear Admiral Philip Jones said the carriers would offer invaluable freedom of action with 16,000m² from which to project power anywhere in the world. "But they are much more than an air base capable of providing support to land operations and humanitarian assistance in disaster zones," he said. "They also play an important role in conflict prevention; their scale, range and capability making them a powerful statement of intent." A total of six UK shipyards are involved in the carriers project: Govan and Rosyth in Scotland, Portsmouth and Devonport in the south, and Newcastle and Liverpool in the north. Setelah enam bulan menjalani perbaikan dan perawatan di Lanud Husein Sastranegara Bangdung maka pesawat Hercules C-130 dengan nomor registrasi A-1308 milik Skadron Udara 32 Wing 2 Lanud Abd saleh kembali dapat beroperasi lagi (29/7). Komandan Lanud Abd Saleh A. Dwi Putranto menerima dan melihat langsung kedatangan pesawat Hercules A-1308 yang dipiloti sendiri oleh Komandan Skadron Udara 32 Letkol Pnb Wayan Superman dan berhenti tepat di lapangan Skadron Udara 32 Wing 2 Lanud Abd Saleh disaksikan para pejabat Lanud beserta Insub. Selanjutnya Komandan melakukan mengguntingan pita di moncong pesawat sebagai tanda kembalinya pesawat hercules A.1308 ke hanggarnya. Dan sebagai ungkapan rasa syukur Komandan melakukan pemotongan tumpeng dan diberikan kepada anggota Skadron Udara 32. Usai pemotongan tumpeng, Komandan menjelaskan bahwa Skadron Udara 32, yang salah satunya memiliki tugas dan kewajiban untuk mengoperasikan serta memelihara sampai tingkat sedang pesawat C-130 Hercules dalam mendukung tugas-tugas operasi TNI AU, dituntut pesawat yang ada harus dalam kondisi siap operasional. Sejarah telah membuktikan bahwa selama ini pesawat Hercules sebagai pendukung operasi telah menunjukkan keberhasilan dalam berbagai operasi. Tidak hanya memberikan kontribusi bagi kepentingan operasi militer namun juga memberi andil pada berbagai operasi kemanusiaan di seluruh wilayah Indonesia, lanjutnya. Mengingat jam terbang pesawat Hercules begitu besar, maka diperlukan perawatan berkala dan menyeluruh agar pesawat dapat beroperasi maksimal. Diharapkan tidak ada lagi adanya accident dan incident terhadap pesawat Hercules yang ada di Lanud Abd Saleh ini. Dan kepada air crew serta seluruh warga Lanud Abd Saleh untuk senantiasa menjaga dan memelihara pesawat yang ada di Lanud Abd Saleh ini, sehingga apabila sewaktu-waktu mendapat tugas operasi, kita akan selalu siap. 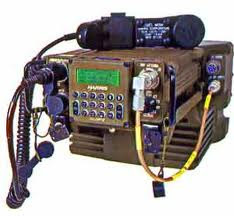 Harris Corp., Rochester, N.Y., was awarded on July 22 a $78,500,000 firm-fixed-price contract for Foreign Military Sales radio base stations, vehicle mounts, and man packs for the government of the Philippines. Work is to be performed in Rochester, N.Y., with an estimated completion date of Nov. 1, 2010. One bid was solicited with one bid received. CECOM Acquisition Center, Fort Monmouth, N.J., is the contracting activity (DAAB07-01-D-M001). Limitations are frequently inspiring. Watching six Sukhoi 27SK and 30MK jet fighters of the Indonesian Air Force without armaments since their purchase from Russia in 2003, a company in Malang, East Java, has been encouraged to design bombs for the sophisticated aircraft. 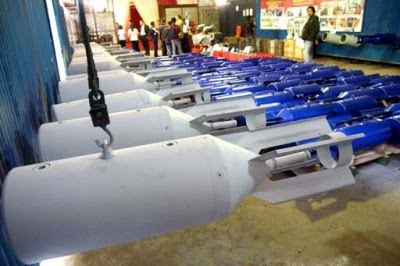 The company, PT Sari Bahari, has managed to produce two types of dropped bombs for the Sukhois. The blue one that is used for practice is named the P 100-120, while the other one to be used in combat is colored military green, and is called the P 100-120L (live). The two have almost the same dimensions: 1,100 millimeters (1.1 meters) long, 100-125 kilograms in weight and 273 millimeters in diameter. The shell is made of nodular iron, the 550-millimiter fin of ST-37 iron, the suspension lug of VCN 45 steel, with a charging tube, a nose and an ejector. The blue practice bomb can only discharge smoke when it is dropped and its nose hits the ground. The smoke comes from TiCl2 (titanium dichloride) gas, which is filled in the tube within the bomb. The gas is released as the tube breaks upon impact. In the live bomb, the tube is filled with explosives, the reason behind the big bang. 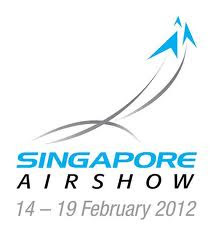 The P 100-120 version has its materials completely derived from domestic sources and has been certified by the Research and Development Office (Dislitbang) of the Indonesian Air Force (TNI-AU).The P 100-120L was subjected to static and dynamic tests on Dec. 29, 2009 in the air weapons range (AWR), Pandanwangi, Lumajang, East Java. A live bomb was mounted aboard a Sukhoi and dropped at a height of 1,371 meters and speed of 450 knots. TNI-AU considered the trajectory of this bomb feasible, like that of the practice type. As planned, following such tests the weapon will be used in a fire power demo before President Susilo Bambang Yudhoyono in August. As many as 24 P 100-120L bombs will be dropped simultaneously from Sukhoi jetfighters. Meanwhile, practice bombs have been used since 2007 by Sukhoi SU 27/30 pilots in squadron 11, Makassar, for bombing exercises. 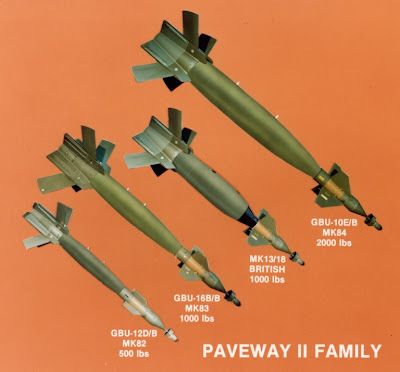 Hundreds of P 100-120 practice bombs have been dropped from TNI-AU’s Sukhois. 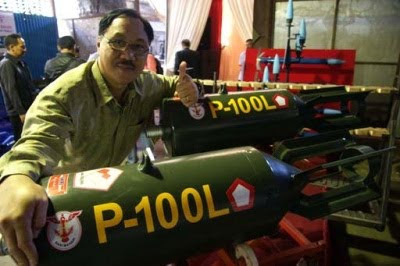 It’s Ricky Hendrik Egam, 50, a 1985 graduate of the Agriculture School, Brawijaya University, Malang, who was inspired to equip the Sukhoi aircraft bought by TNI-AU with local armaments. The son of a civil servant in the Indonesian Military (TNI) at first set up CV Sari Bahari, a business partnership (which later became PT Sari Bahari), for his business after graduation. In 1987, his firm was registered as a partner of PT Pindad (military industry) in Turen, Malang. Originally, Ricky supplied non-technical products needed by Pindad in Turen through tenders for over five years. As Pindad’s partner, the Surabaya-born man had frequent contact with experts from foreign companies assisting the state-owned enterprise. The foreign consultants turned out to supply Pindad’s machine spare parts, as most of the machines had in fact been imported. Ricky took the opportunity to talk about many things with the consultants. “From then on, my knowledge of weapons, projectiles and military equipment was on the up and up. Through acquaintances and self-taught attempts, I tried to become an importer of technical machines for PT Pindad in Turen,” said Ricky. Ready to rumble: Ricky’s bombs on display at his workshop. 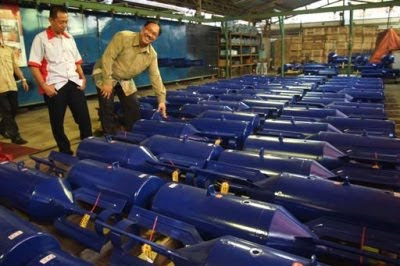 His company produces two types of devices for the Russian jetfighters owned by the Indonesian Air Force. By importing technical products related to armaments, Ricky had the chance to go to Germany, where he began to realize that domestic weaponry had to be produced rather than imported, because of the presence of local potential, materials and capability. “At the time I wondered why we could not produce it ourselves,” recalled Ricky, who once joined an armament course in Germany. Back home from Germany, the father of three started thinking of producing principal equipment of the weaponry system (alutsista) for the TNI. He cooperated with TNI-AU’s Dislitbang in 2005. He has rented two workshops on Jl. Muharto, Malang, from a local businessman since 2007. The facilities formerly produced motorcycle exhaust pipes, bus spare parts, and repair industrial machines. His first project was the research and creation of a practice warhead of a 2.75-inch caliber, PSB Smokey type. Most of its materials were still imported. After several studies, the practice rocket was successfully produced and viable. In 2007, still cooperating with Dislitbang, he made the P-100 practice bombs for the Sukhoi jet fighters. He has used his own capital for P-100 production, along with bank financing through a small and medium-scale business loan scheme. Ricky’s Sukhoi practice bomb making capability led to two invitations by the Malaysian Royal Air Force. Malaysia later ordered 1,000 P-100 L and P-100 units. The bombs will be used for bombing exercises by Malaysia’s 18 Sukhoi aircraft. 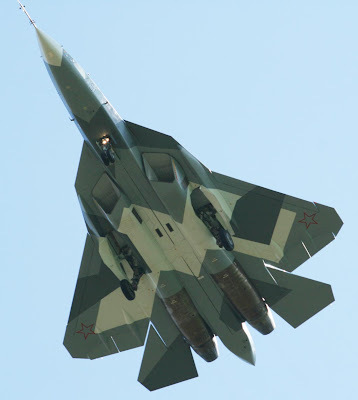 So far for its Sukhoi pilot practice, Malaysia has used Russia’s OFAB-50 dropped bombs, which do not have a practice version and thus explode, costing the military US$4,000 per bomb. “Compared with the practice type, the Russian bombs they currently use are about four times as expensive,” noted Ricky. Line of fire: Ricky learned how to make bombs from his experience as a supplier to state-owned arms producer PT Pindad. Apart from their compatibility with Russian-made Sukhoi jet fighters, the bombs produced in Malang can also be carried by NATO’s standard aircraft such as F-5E Tiger jet fighters. When visiting Ricky’s workshops on July 13, Defense Minister Purnomo Yusgiantoro said he was proud of Ricky and his team. With only seven core staff members and 50 production employees, the quality of their products is competitive with that of those made overseas. They are also far less expensive because all materials are available locally. “What has been achieved should be further developed and promoted,” said Purnomo. Ricky will shortly develop the P 100-120 generation into smart dropped bombs. It means the concept of a P 100-120L that can find its own target when dropped from a bomber, for being guided by the GPS. “Consequently, when it is shot, the bomber has to be over 9,000 feet or about 2,743 meters high,” said Ricky. Compared with guided missiles, smart dropped bombs generate no heat, which is detectable by radar. “With such bombs, their aircraft doesn’t need to enter enemy airspace and the bombs will reach relevant targets,” added the science-fiction buff. While preparing smart bombs, the automotive enthusiast has made a 2.75-inch or 70-millimeter caliber rocket, which is called a 2.75-inch-caliber folding fin rocket, with locally derived materials. Its tube is an iron alloy and its fin is a domestic design. This rocket has been tested ground to ground, with a cruising range of 8 kilometers. Ricky’s rocket is also suitable for air-to-air, air-to-ground or ground-to-air missile systems. “This is the rocket we built ourselves but we asked the National Aeronautic and Aviation Agency [Lapan] to fill its propelling materials,” acknowledged the man of Manado descent. In addition, Ricky has developed a mounting stand gun of a 5.56-12.7-millimeter caliber. It is used to tune the accuracy of guns owned by the TNI. So far, for gun tuning the TNI has had to use imported equipment. “We have proven that we can make [armaments] at home. We should be proud of our own products. So why should we import?” he stressed. In his view, if alutsista is to be imported from other countries, everybody will easily read the strength of Indonesia’s defense. But if it is domestically produced, nobody will be aware of our real military power. French Defense Minister Hervé Morin is slated to meet his Indonesian counterpart Wednesday morning and may discuss arms or military equipment sales as Jakarta looks to upgrade the Indonesian Military (TNI). A press statement issued by the Indonesian Defense Ministry on Tuesday confirmed a bilateral meeting to be carried out between the two ministers the next day. The ministry's spokesman I Wayan Midhio said Monday that Morin's visit was "merely a courtesy call". Although he did not know what would be discussed during the bilateral meeting, he said Indonesia had made many orders of military equipment from France, including avionics (aviation electronics) and radars (for aircraft or vessels). The French Embassy in Jakarta said in a press statement Monday that Morin's visit would follow up a meeting between Indonesian President Susilo Bambang Yudhoyono and French President Nicolas Sarkozy in Paris on Dec. 14, 2009. "The French minister will submit to his Indonesian counterpart a draft agreement on cooperation in the field of defense that may be signed later this year," it said. Morin, who flew to Jakarta after a visit in Hanoi, was initially scheduled to meet Indonesian Defense Minister Purnomo Yusgiantoro Tuesday morning during his two-day visit to Indonesia but canceled it. In Vietnam, Morin said France was willing to help Hanoi modernize its military, Reuters reported Tuesday. "We understand that Vietnam wants modernized military equipment from many different sources and France is ready to meet all Vietnam's needs," Reuters quoted online news portal VietnamNet. Vietnam recently bought radars, helicopters and transport aircraft from France as the country gradually upgrades its antiquated armed forces. A number of foreign defense ministers appear to have approached the Indonesian government to try sell their arms or military equipment as it is upgrading its military. Pakistan Defense Minister Chaudhary Ahmed Mukhtar, who came to Jakarta last Wednesday, offered his Indonesian counterpart the latest jet fighter called the JF-17. The jet fighter is produced jointly by Pakistan and China and is claimed by manufacturers as cheaper and stronger than the US-manufactured F-16. In response, Purnomo said there would be further discussion on the matter later in October. US Secretary of Defense Robert Gates also came to Jakarta last Thursday. He met Yudhoyono and Indonesia's ministers during his whirlwind visit here. Although Gates said he discussed a wide range of issues during his visit, it was not clear whether any arms sales discussions took place between Gates and either Indonesian officials and the President. But Purnomo had earlier told Gates of the Indonesian government's interest to buy F-16 jet fighters from the US to complete the Indonesian Air Force's squadron, as part of the TNI's modernization program, in a bilateral meeting in Singapore on the sidelines of the Shangri-La meeting early June. This month Indonesia and South Korea signed an MoU, stipulating joint development of FSX jet fighters, higher in class than the F-16. BEIJING — China’s military spending will total 788.0 billion yuan, or 10.2 trillion yen, in 2010, about 1.5 times higher than the country’s 2010 defense budget unveiled in March, Chinese military sources said Thursday. 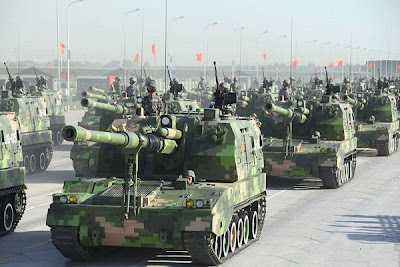 Citing an internal report of the People’s Liberation Army, the sources said China’s military expenditures are expected to double to 1.41 trillion yuan in 2020 and triple to 2.30 trillion yuan in 2030, bolstering the view that the country’s military expansion is likely to continue. The report forecasts the spending will further increase to about 5 trillion yuan in 2050, according to the sources. China is believed to be allocating a growing share of military expenditures to boosting its navy and air force, such as building aircraft carriers in an effort to gain a leading military position in Asia. China’s defense budget does not include outlays for research and development of weapons, leading other countries to suspect that actual spending is larger than the announced level. The PLA report, which features the military’s logistic operation, was compiled last fall by a senior PLA officer who teaches at the PLA National Defense University. The forecast is based on the assumption that China’s gross domestic product will grow at 6% a year on average from 2010 to 2020, 5% from 2021 to 2030 and around 4% from 2031 to 2050. China’s GDP is expected to grow more than 9% in 2010, higher than the assumed rate, so military spending this year could become higher than the forecast. The sources quoted the report as saying that China’s military expenditures account for about 2.5% of GDP. But official data show that the country’s defense spending has accounted for 1.4% of GDP in recent years. The gap shows the PLA appears to have a concept of ‘‘military spending,’’ which is different from—and larger than—a defense budget. The sources said military spending represents the defense budget plus military-related outlays for the Ministry of Industry and Information Technology and other organs under the State Council. Some countries and territories have questioned that the defense budget alone may have been insufficient for China to develop its latest jet fighter models and deploy nuclear-powered submarines. But the existence of military spending can explain China’s recent moves to build carriers, military experts said. One expert estimates China’s military spending will reach $740 billion in 2050 based on the current exchange rate, which, if the yuan strengthens against the dollar, may exceed the U.S. level and become the world’s largest. The source said it is vital for China to ‘‘develop its sea power’’ in a bid to become a major regional power, suggesting that Beijing plans to increase spending on its navy and air force to expand their presence in the East China Sea and South China Sea, gateways to the Pacific. On March 4, Li Zhaoxing, spokesman for China’s parliament, the National People’s Congress, said the country’s defense spending would total 532.1 billion yuan in the fiscal 2010 budget, up 7.5% from a year earlier. But the U.S. State Department suspects that China’s defense spending would be twice to three times larger than the announced amount. 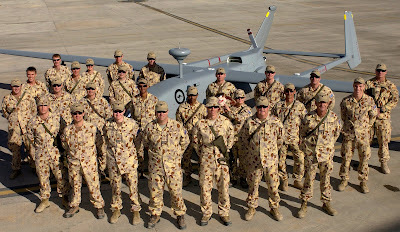 The Australian Defence Force (ADF) has extended its contract with MDA to provide surveillance operations for unmanned aerial vehicles (UAV) supporting its forces deployed in Afghanistan, MDA announced July 27. MDA’s contract with the ADF, first issued in September, will remain active through December 2011. Financial details of the contract were not disclosed. MDA also supplies UAV support services for the Canadian National Defense Force under a similar deal, signed in May 2008, to provide complete turnkey operational UAV service to the customer, providing full operations, maintenance and logistics, and supplying real-time, multi-sensor intelligence information directly in the theatre of operation. The first three Gripen aircraft made for RTAF will arrive in Thailand in January 2011 and the remaining three RTAF Gripen are due in March 2011. Training of pilots, technicians and ground support staff is a vital part of RTAF's preparations for Gripen and much of this education is taking place in Sweden. Technicians and aviation mechanics responsible for maintenance and support of the aircraft, have traveled to the Armed Force Technical School (Air Force) in Halmstad. Later this group will continue their training operational duties at Wing 7 in Såtenäs and Wing 17 in Ronneby. Såtenäs is also the Gripen Training Center for Swedish Air Force pilots, as well as for foreign Gripen pilots. 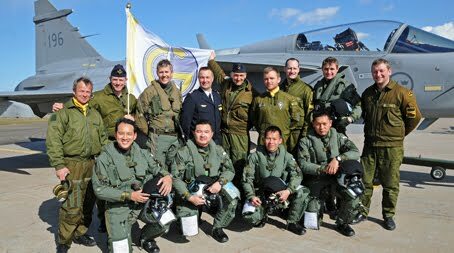 RTAF selected 10 pilots for Gripen training in Sweden. The first group of four pilots – Wng Cdr. Jakkrit Thamvichai squadron leader, Wng Cdr. Charoen Watanasrimongkol, Wng Cdr. Nattawut Duang Sungngoen and Wng Cdr. Puttapong Polchiwin - train in Sweden from March 2010 to December 2010, following a curriculum for instructor pilots, while the second group, six pilots, follow soon for approximately 5 months training. The latter six will receive further training in Thailand after all ten pilots return home in January 2011 together with the three first Gripen aircraft. At the outset, all RTAF instructor pilots in Sweden undergo a 6 week theory segment. Here pilots learn about Gripen´s modern technology, its construction as well as its engine, avionics systems, communication systems and other systems. As soon to be instructor pilots, the first four RTAF pilots need to understand a number of flight systems in detail, control the aircraft, take off and tactical flying. All in all the pilots go through roughly 20 hours of simulator training. Following , 4 flights with an instuctor before they make their first solo flight. All four Thai pilots flew their maiden solo flights on 22 April, after which Major General Anders Silwer, Commander of the Swedish Air Force, joined to congratulate them at Wing 7 at Såtenäs. Training then continues with operation air to air, operation air to ground, reconnaiscance, continued operation training multirole and instructor pilot training. A pilot in the instructor pilot programme must have suitable basic experience from flying fighter aircraft. Any F-16 pilot from RTAF are able to become a pilot instructor and should have a minimum experience of, up to 600-700 flying hours, and been group leader before being considered for the pilot instructor programme. Gripen pilots have passed the second level as group leader and some are even instructor pilots on F-16 and F-5 as well. Therefore when they have gone through conversion training, and are ready to fly and fight with Gripen, it is also easy to get on, up to instructor pilot level, which apart from knowing how fly on their own, they must also be able to transfer knowledge and technics to coming pilots. 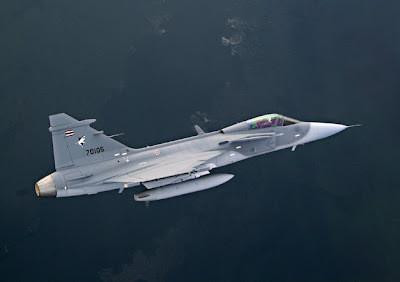 The first two years after Gripen´s arrival at Wing 7 in Surat Thani Swedish pilot instructors and technicians will be posted in Thailand to assist and advise the Thais. The six Gripen at Wing 7 are expected to be fully operational around September 2011. Gripen will be the newest and most modern fighter aircraft in Asia when RTAF bring them into service as the first country on the continent. KUALA LUMPUR - Kapal selam pertama negara, KD Tunku Abdul Rahman hari ini berjaya melancarkan penembakan misil bawah permukaan ke permukaan, Exocet SM39 blok dua yang berjaya memusnahkan sasaran permukaan (STB) berukuran 40 meter. Panglima Tentera Laut, Laksamana Jeneral Tan Sri Abdul Aziz Jaafar berkata, pelancaran tepat pukul 10.15 pagi tadi di kawasan Laut China Selatan membuktikan keupayaan Tentera Laut Diraja Malaysia (TLDM) dan kapal selam negara menjalankan sebarang misi jika diperlukan. "Misil yang dilancarkan tepat ke sasaran berukuran 40 meter pada kedudukan 40 kilometer (22 batu nautika) dari kedudukan kapal selam. "Ia dilancarkan ketika KD Tunku Abdul Rahman berada pada kedalaman 55 meter iaitu paras di mana ia sukar dikesan oleh sistem penderia bawah air mana-mana kapal permukaan," katanya dalam kenyataan di sini hari ini. Misil Exocet SM39 blok dua merupakan aset negara yang diperolehi dari Perancis pada pertengahan 2008. Peluru berpandu sepanjang enam meter dan berdiameter 35 sentimeter itu seberat 2,100 kilogram. Abdul Aziz menambah, penembakan itu merupakan sebahagian daripada aktiviti kontrak ujian tropika. "Ia juga bertujuan mengesahkan keberkesanan misil Exocet SM39 blok dua dan sistem persenjataan KD Tunku Abdul Rahman atau lebih dikenali sebagai SUBTICS KD TAR di kawasan laut beriklim tropika," ujarnya. Beliau turut memberitahu, sebanyak 10 unit yang terlibat dalam penembakan tersebut akan turut menyertai latihan gabungan TLDM iaitu Eksesais Operasi Laut (Ostex) dan Latihan Integrasi Armada Kapal Selam (Subfit) yang berlangsung selama seminggu bermula Khamis ini di kawasan Gugusan Semarang Peninjau, Laut China Selatan. When Colonel (COL) (Ret) Kelvin Chng was still a senior instructor in Midshipman School 25 years ago, he dreamed of the day when the Republic of Singapore Navy (RSN) would have a dedicated training ship. 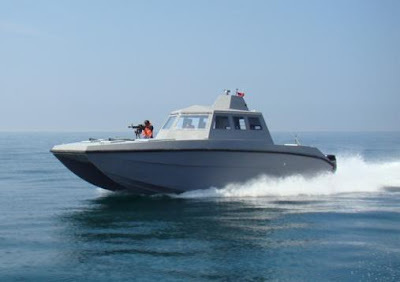 One that is designed to meet the navigation and training needs of the RSN. Today, as a Senior Director in ST Education and Training Pte Ltd (STET), his dream was finally realised when a commercial ship, named the STET Polaris, was made available for the RSN's training requirements from June this year. On board the STET Polaris at its delivery ceremony on 30 Jun, COL (Ret) Chng said: "For the past eight years, we (STET) have been providing instructors to do training for the Navy. Over and above just providing the manpower, we are now providing training resources, which is the training ship." "So the Navy gets their ship for training, without the need to put in manpower to maintain the ship, because this is taken care of by us, the vendor. "Having a dedicated training ship is definitely good news for the RSN, said Lieutenant Colonel (LTC) Neo Meng Keong, who is the Commanding Officer of the Navigation School. "Whenever trainees train using our warships, it typically requires about 30 RSN personnel to sail the ship in support of the training task. With a commercial ship now, it only requires about four crew to man the ship, so there's a lot of manpower savings." "Also, training on a commercial ship frees up our warships to do more operational tasks," he added. The trainees whom cyberpioneer spoke to also gave the thumbs-up for the new training ship, explaining how it helps to boost their training. Lieutenant Victor Loh, an Additional Officer in the Training Command (TRACOM), said: "Everything on the STET Polaris has been custom-built to cater to our training needs." "For example, the equipment on board the ship has all been carefully considered, from the layout of the bridge, to the radar, to the Electronic Chart Display Information System (ECDIS). These are extremely essential for our training, and with this dedicated platform, it helps to raise our navigation standards to a higher level," he said. Captain Neo Wei Siong, an Officer-under-training in TRACOM, added: "The shallow draught of the ship also enables us to explore new training areas, such as narrow channels that are difficult for warships to pass through. "Besides having customised facilities and equipment, another advantage of the STET Polaris is that training on the ship can be scheduled whenever there is a need for trainees to have hands-on practice, said LTC Neo. "It provides a more seamless transition from the knowledge that the trainees get in the classroom, to what they actually experience on the ship during their practical sessions. "Captain Michelle Chia agreed. The Officer-under-training in TRACOM said: "Unlike a warship that is subject to operational schedules, we are able to have more frequent sea sorties for training." "With more opportunities for hands-on practice, this benefits trainees who may require more sailings to gain more confidence and feel more competent to sail a ship," she added. The STET Polaris was built by Sam Aluminium Engineering Pte Ltd. Its length and breadth measures 25m and 6.6m respectively, and it has a draft of 1.3m. The training ship has a complement crew of four and a capacity of 30 people. The Government is close to finalising a deal that would put the delayed upgrade of Air Force C130 Hercules aircraft back on track and in its own hands. US firm L-3 Communications has been tasked with the upgrades, which are still not complete despite the $226 million contract being ticked off more than five years ago. 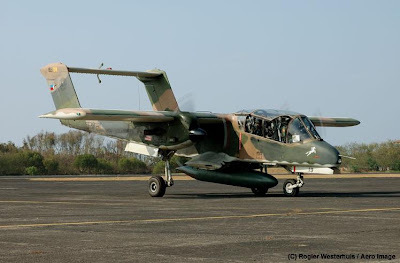 While the Air Force has had two planes back, equipment and contractual problems have dogged the project and three aircraft are yet to be upgraded to the standards expected. Air NZ subsidiary Safe Air was sub-contracted to do some of the work, but with aircraft not being sent to its Blenheim base from the US when expected it led to lay-offs and continued difficulties for the Air Force. The Ministry of Defence was reported yesterday to be in advanced discussions with L-3 about getting the Government to take over the contract. 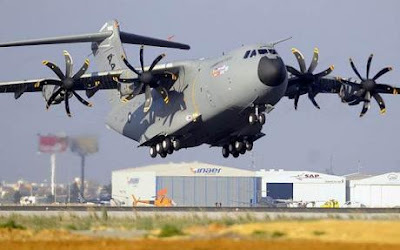 That involved agreeing on the amount of money which should be deducted from the original contract price and the ministry hoped such details would be ironed out and work on the three aircraft could continue in New Zealand next year. 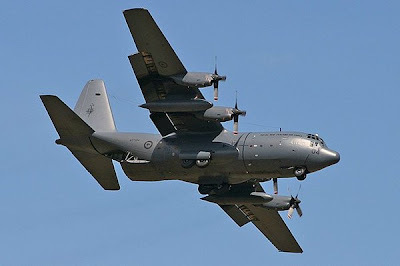 Defence Minister Wayne Mapp said the Air Force had been forced to juggle its operations to skirt around the problem. Blenheim Capital Partners has been hired by the Malaysian government to finance and develop a $5bn ($3.3bn) defence and technology centre to offset hundreds of millions of dollars owed to the country from defence deals. 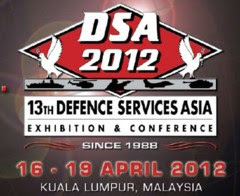 The outstanding defence offset obligations to Malaysia already mount up to $200m, and with the country planning to spend between $5bn and $7bn updating planes, ships and armoured vehicles over five years from 2011, there will be many more. Malaysia currently asks for offsets of at least 50pc of the value of a defence contract, according to Grant Rogan, chief executive of Blenheim. Defence offsets are an agreement to invest in the buyer nation’s economy to create a certain amount of wealth, in return for the purchase of equipment. It can take the form of developing the industrial base by building part of the kit in question in-country, or increasingly by attracting investment from unrelated industries to stimulate economic growth. Grant Rogan, the chief executive of Blenheim, says there are around $100bn of outstanding offset obligations around the world, and another $150bn could be created in the next five years alone. US and European defence companies are chasing exports as growth slows at home. London-based Blenheim, which was set up as joint venture with Barclays Capital in 1996 before a management buyout last year, will work with a local partner to raise long-term loans to build the Malaysia Defence and Security Technology Park and find companies to set up there. Some of the first customers are likely to be firms which have sold expensive military kit to Malaysia in the past, and those that plan to do so in the future. Those include EADS, which has sold A400M transport planes to Malaysia, Thales, AgustaWestland and the Russian fighter plane builder Sukhoi. Malaysian officials view the technology park as a way of developing the country as a defence and security manufacturing hub for the south-east Asian region. Blenheim has previously set up projects which dispensed of $12bn of obligations for defence companies offset projects in the Kuwait, in the form of an aircraft leasing business, and a five-star beach resort in Saudi Arabia, among others. 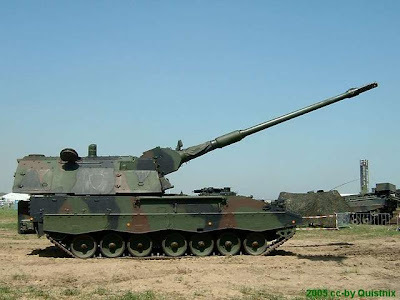 China has deployed a fifth battalion of its new 35 ton PLZ 05 self-propelled howitzers. Each battalion has three batteries, of six howitzers each. There is also a support battery for carrying more ammo and for equipment maintenance. There is also an artillery spotting radar and a weather radar (to improve the accuracy of unguided shells). At least four other battalions have entered service since 2007. The PLZ 05 is a further development of the 33 ton PLZ 45, which entered service in the 1990s as an export item. This system had a crew of five and a semi-automatic loader. The PLZ 04/04 use an automatic loader, thus a crew of only four is required. Kuwait, Bangladesh and Saudi Arabia bought PLZ 45s in the last decade. Dimensions of both vehicles are 10.5 meters (1 meter=3.1 feet) long, 3.3 meters wide and 2.6 meters high (3.5 meters if you include the 12.7mm machine-gun usually mounted on top of the turret.) The PLZ 05 barrel is 15.5 percent longer than the one on the PLZ 45. There is another model, the PLZ 04, with a slightly (4 percent) longer barrel than the PLZ 05. For all of these vehicles, the 155mm barrel is good for about 2,500 rounds. Computerized control systems and satellite navigation enable the weapon to be ready for firing within minutes. The vehicle carries 30 rounds of 155mm ammo, with 24 ready to be used by the autoloader. Max rate of fire (for a few minutes) is ten rounds a minute (five in the PLZ 45). Max range of the howitzer is 50 kilometers (with rocket assisted shells). Normal shells are good got about 39 kilometers and laser guided shells for 20 kilometers. All three of these systems use a lot of technology stolen from the Russians. The Russian and Chinese systems compete with the fifty year old U.S. M-109 design, which is a 25 ton vehicle with a crew of five. JAKARTA - Kehadiran Menteri Pertahanan AS Robert Gates disambut positif kalangan TNI. Sejumlah kerja sama antara dua negara siap dijalankan. Salah satunya, kerja sama pemeliharaan pesawat angkut Hercules C-130. ''Saat ini, satu pesawat (Hercules) sudah di Oklahoma. Kami juga akan kirim dua lagi,'' kata Kepala Dinas Penerangan Mabes TNI-AU Marsekal Pertama Bambang Samudro kepada Jawa Pos kemarin (24/7). Pesawat buatan 1981 tersebut idealnya dipakai sekitar delapan tahun atau 3.000 jam terbang. Namun, pesawat itu hingga kini masih beroperasi aktif untuk kepentingan TNI. 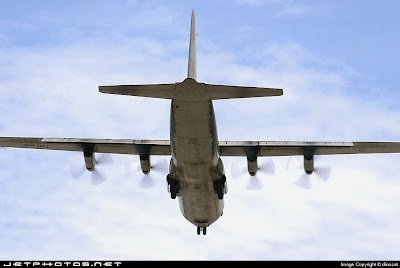 Rencananya, Hercules bernomor A-1323 tersebut menjalani pemeliharaan berat selama enam bulan di hanggar fasilitas perusahaan ARINC Company, Oklahoma, AS. ''Pesawat akan dicek ulang dan diperbaiki kalau ada yang rusak,'' kata Bambang. Program pemeliharaan (programmed depot maintenance/PDM) tersebut merupakan pemeliharaan tingkat berat untuk pesawat Hercules C-130 yang mengacu pada technical order yang dikeluarkan AS. Program tersebut merupakan tindak lanjut kesepakatan antara angkatan udara RI dan AS yang dibiayai AS. Menurut Bambang, 10 teknisi TNI-AU juga ikut ke Oklahoma. ''Mereka belajar teknis bengkel di sana. Istilahnya, upgrading kemampuan teknis,'' kata mantan komandan Lanud Iswahyudi, Madiun, tersebut. Selain pemeliharaan Hercules, sejumlah kerja sama juga dijajaki TNI-AU dan AS. ''Secara umum kami sambut baik,'' ungkapnya. Pengamat militer dan keamanan Alman Helvas Ali menilai, selama ini banyak alutsista (alat utama sistem persenjataan) TNI yang merupakan produk AS. ''Selain Hercules, ada F-5, F-16, dan helikopter Bell,'' jelasnya. Bahkan, di dalam beberapa rudal seperti Exorcet yang diproduksi Prancis, ada chip buatan AS. Menurut Alman, selain kerja sama udara, kerja sama maritim antardua negara sangat strategis. ''Implikasinya sangat berpengaruh untuk kestabilan kawasan. AS sangat berkepentingan agar kawasan laut stabil, Indonesia juga diuntungkan,'' katanya. Dia mencontohkan kerja sama maritim di perairan Laut China Selatan. ''Jalur itu sangat strategis bagi AS untuk arus perdagangan. Di sisi Indonesia juga strategis dari sisi kedaulatan,'' jelasnya. Peneliti Forum Kajian Pertahanan dan Maritim itu menambahkan, dari sisi latihan bersama, kerja sama itu juga sangat positif. ''Misalnya, yang baru saja berlangsung antara Marinir dan USMC (United States Marine Corps). Kita diajari ilmu perang kota yang sangat berguna,'' ungkapnya. Dari sisi pertahanan modern, perang kota ala AS masih dianggap sebagai ilmu terbaik di kelasnya. ''Sejak 2005, hubungan TNI-AL dengan AS sangat baik dari sisi kerja sama tukar-menukar personel untuk studi maupun latihan bersama,'' ujar Alman. Di bagian lain, Ikatan Orang Hilang (Ikohi) akan mengirimkan surat ke Washington DC. ''Kami tetap tidak setuju ada pemulihan kerja sama, terutama untuk Kopassus,'' tegas Koordinator Ikohi Mugiyanto kemarin. Several controversial major military procurements and projects have been endorsed or are awaiting approval ahead of the coming retirement of army chief Gen Anupong Paojinda. They include a new infantry division in the North; a 5 billion baht procurement for 121 armoured personnel carriers; and a 350 million baht reconnaissance airship. Defence Minister Prawit Wongsuwon has approved the army chief's proposal to spend 10 billion baht on developing a new infantry division in Chiang Mai to secure the northern border with Burma and Laos, suppress drugs and cope with red shirt protesters, according to an army source. Gen Anupong, who will retire at the end of September, assigned the 3rd Army late last year to study the establishment of the 7th Infantry Division based in Chiang Mai. The new division will have 25,000 soldiers. The establishment of the infantry division will cost about 10 billion baht. The spending will take five years and start next year. At present, the North has only the 1st Cavalry Division in Phitsanulok and the 4th Infantry Division in Nakhon Sawan with 20,000 soldiers in total who must secure the border with Laos and Burma for a distance of nearly 1,000km from Tak to Phitsanulok. Some of the soldiers were deployed to secure the strongholds of red shirt protesters and the opposition Puea Thai Party in the North, the source said. The military helps the government confront protesters and is rewarded with opportunities to order weaponry. Controversies over the wisdom of the purchases tends to be ignored, such is the government's eagerness to please. An army committee yesterday accepted the cameras and downlink system of a 350 million baht reconnaissance airship even though many problems have emerged with the imported airship. The airship was officially accepted on May 27. It was unable to reach the altitude of a kilometre needed to take it out of range of M16 rifles. It also leaks through its seams. "Only one month of the original one-year warranty remains as the procurement contract of the airship was signed in August last year," the source said. He said the acceptance of the communication system followed lobbying by the supplier, who promised to replace the problematic airship with a new one, or take it for an overhaul in the US. If the supplier breaks his promise, the army will have to pay 55 million baht for repairs after the warranty expires. Other controversies include the army's order for 96 BTR-3E1 wheeled armoured personnel carriers. 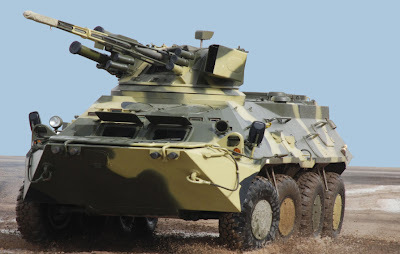 According to a source, Gen Anupong plans to ask the cabinet next week to approve in principle another order for 121 more BTR-3E1 APCs worth nearly 5 billion baht from the Ukraine. The order is planned even though the army encountered problems with the first 96 BTR-3E1 armoured personnel carriers worth 3.9 billion baht from the same supplier. The order was criticised for lacking transparency. It was proposed to former defence minister Boonrawd Somtas of the Surayud Chulanont government but Gen Boonrawd did not sign for the procurement project. Later Gen Anupong sought approval from former prime minister Samak Sundaravej who was concurrently the defence minister. He approved, to please the army. However, since 2007 the Ukraine supplier, which is represented in Thailand by Datagate Thailand Co, has been unable to deliver the personnel carriers to the Thai army. Originally the Ukraine company proposed the carriers be equipped with Deutz engines and transmission systems from Germany but the engine and transmission manufacturer refused to supply its products, citing concerns over the 2006 coup. The Ukraine switched to offering MTU engines from Germany and Allison transmission systems from the United States. Lt Gen Ekachai Watcharaprateep, the director-general of the army's Ordnance Department, who was a pre-cadet classmate of Gen Anupong, said the Ukraine will deliver two personnel carriers in September and will complete the rest of the delivery next year. When red shirt protesters rallied last March, Gen Anupong sought cabinet approval to import six Mi-17 helicopters worth about 2 billion baht from Russia. Last year the army chief ordered three Black Hawk helicopters worth 2 billion baht. He has just sought 134 million baht to order 1,200 Mini Tavor rifles for special warfare soldiers and the 1st Army. Soon the army will seek cabinet consent to import 16 Enstrom 480B light helicopters worth 1.2 billion baht from the US. PT Dirgantara Indonesia (DI) akan menyiapkan lini perawatan atau MRO (maintenance, repair, overhaul) pesawat Sukhoi SuperJet 100, setelah sebelumnya mengembangkan MRO pesawat Boeing 737. Budi Santoso, Direktur Utama PT DI, mengatakan hal itu terkait dengan minat maskapai Kartika Airlines untuk menyerahkan proses MRO 30 pesawat Sukhoi SuperJet 100 buatan Rusia, yang dibeli maskapai itu senilai Rp 7,6 miliar. Dia mengatakan pihaknya membutuhkan waktu sekitar 1 tahun untuk menyiapkan lini perawatan pesawat jet berpenumpang 98 orang itu. "Kartika Airlines baru menerima pengiriman perdana Sukhoi SuperJet 100 pada 2012, sehingga kami optimistis mampu menyiapkan lini perawatan tersebut," ujarnya. 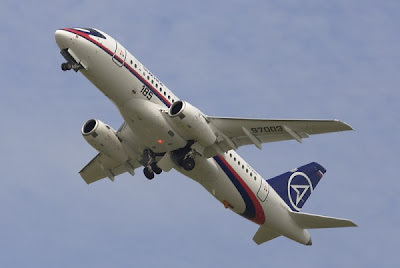 Budi menambahkan PT DI akan menjalin kerja sama dengan Sukhoi Civil Aircraft pabrikan Sukhoi SuperJet 100 untuk mempersiapkan perawatan pesawat. "Investasinya untuk MRO tidak terlalu besar. Kan hanya menambah peralatan saja, sedangkan hanggar kami sudah punya," katanya. Menurut dia, fasilitas hanggar yang ada di BUMN itu mampu menampung sekaligus empat unit pesawat berbadan sedang (narrow body), sepreti Boeing 737 dan Sukhoi SuperJet 100. PT DI menangani proses perawatan pesawat Boeing dari berbagai maskapai di Tanah Air. MBDA Missile Systems have unveiled a small laser+GPS/INS guided weapon developed with company funding at MBDA’s U.S. subsidiary. The weapon called Small Air Bomb Extended Range (SABER) can be configured as a rocket or glide weapon, according to the customer’s requirements. 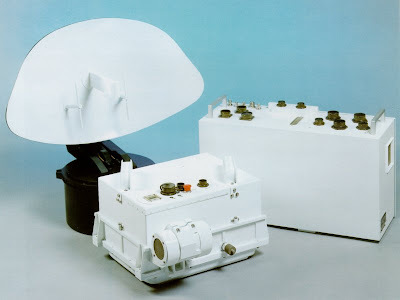 The dual mode warhead uses blast-fragmentation or shaped charge, for reduced collateral damage and penetration effect. The SABER uses a semi-active laser seeker for terminal guidance, and GPS/INS mid-course navigation enabling the weapon to fly off-axis, regardless to the direction of the launching platform. An alternative seeker employing TV/IR sensor with data-link communications enabling ‘man in the loop’ control is currently in development. 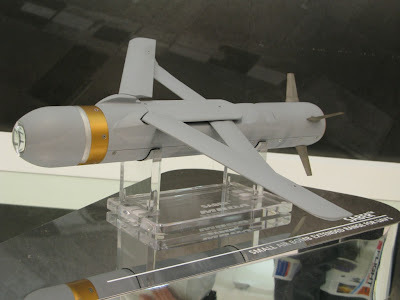 Douglas J. Denneny, Vice President of Government Relations at MBDA Inc. told Defense Update that the SABER could be available for operational use following the completion of flight tests anticipated in the ‘upcoming months’. The unpowered version weighs only 10 pounds, and its range is dependent on the launch altitude, with the rocket powered version adapted for low altitude launch, weighing about 30 pounds. Simlat Ltd. announces the delivery of two UAS-SPOT (Screening by Performance-Oriented Testing) Systems to the Australian Forces. The systems are currently being used by the Australian Forces for automatic evaluation of UAS operators. Simlat was awarded contract for the SPOT systems as part of a UAS simulators upgrade for the Skylark Mini-UAV. "The UAS-SPOT, a flagship product of Simlat's Human Factors Business Line, was developed for the last 6 years in light of the growing shortage in UAS operators and the need to facilitate and improve the screening process," says Yuval Peshin, Simlat President. "The candidate can run through the SPOT tests independently while his performance is automatically monitored and evaluated by the SPOT, saving precious time and money. Test results are presented in clear and focused reports, offering insight to the candidate or operator's skills, and assuring the selection of the top candidates. This shortens qualification and training time without compromising quality." JAKARTA, Indonesia - The U.S. said July 22 it would resume ties with Indonesian special forces after a 12-year hiatus, as part of efforts by Washington to reach out to the world's largest Muslim nation. The announcement, made during a visit by U.S. Defense Secretary Robert Gates to Indonesia, comes as Washington seeks to resume training for the Kopassus unit as part of growing military cooperation with Jakarta. "The United States will begin a gradual, limited program of security cooperation activities with the Indonesian Army Special Forces," Gates said referring to the Kopassus unit with which Washington suspended ties in 1998. The decision came "as a result of Indonesian military reforms over the past decade... and recent actions taken by the Ministry of Defense to address human rights issues," he said after talks with President Susilo Bambang Yudhoyono. "Our ability to expand upon these initial steps will depend upon continued implementation of reforms within Kopassus and TNI (the Indonesian armed forces) as a whole," he said, describing the move as "a very significant development." The move is controversial as the Kopassus unit has been implicated in human rights abuses, including in East Timor, and some figures in the U.S. Congress have opposed embracing the force before it has accounted for its past. 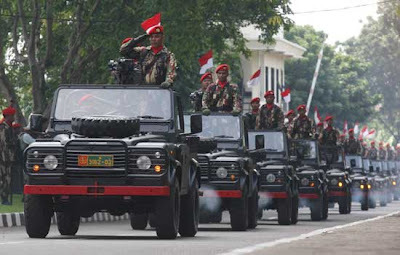 The Indonesian special forces are accused of committing rights violations in East Timor and Aceh under then-dictator Soeharto in the 1990s. A report last year by U.S.-based Human Rights Watch accused the elite unit of ongoing abuses in the restive province of Papua. A senior U.S. defense official played down fears that senior figures still in the special forces had been implicated in past rights violations. "I think it's the view of the Indonesian military that without the ability to engage and train Kopassus, the American engagement and normalization of the military-to-military relationship would be incomplete," he said. "We've been working for some time both within the U.S. government and with the government of Indonesia to try to figure out how and under what conditions we can pursue re-engagement with Kopassus," said one senior U.S. defense official. He noted improvements made by Jakarta since the end of the Soeharto regime. However, leading voices in Washington, such as Democrat Sen. Patrick Leahy, as well as human rights groups have opposed a normalization of military ties until Kopassus commanders have faced justice for past rights violations. Hamid, a rights activist from the Indonesian Commission for Missing Persons and Victims of Violence (Kontras), said any troops involved in abuses had to face trial. "We deeply regretted the decision as we have previously reminded the U.S. government it is important that a concrete precondition be imposed on Kopassus and Indonesian military before restoring the ties," he said. He acknowledged that some Kopassus officers implicated in the rights abuse cases had been expelled from the military but said the military should apologies for the crimes. The last call of duty for 25 Chinese-made tanks will not be as killing machines but to provide a breeding ground for marine life in the Gulf of Thailand. The T69-2 tanks have been handed over to the Department of Fisheries and will form artificial reefs. Some were transported by truck from the Surathampitak Camp in Nakhon Ratchasima to Bangkok's Klong Toey Port yesterday. The rest will follow tomorrow and Monday. Then they will be shipped from the port and placed in the compound of Thaksin Ratchaniwet Palace in Narathiwat before being dropped into the Gulf of Thailand off Narathiwat and Pattani. The tanks will serve as artificial reefs to provide breeding grounds for marine life. Col Mungkorn Wankrua, deputy chief of the Ordnance Department's munitions maintenance centre, said yesterday the delivery of the tanks was in response to Her Majesty the Queen's artificial coral project initiated to improve marine ecosystems and increase fish stocks in the sea off Thailand, particularly in the southern provinces of Narathiwat and Pattani . The tanks were placed in service for the 16th Tank Battalion in 1987 and decommissioned in 2004. The army purchased them from China in 1987 when Chavalit Yongchaiyudh served as the army chief, an army source said. Gen Chavalit was then known to have friendly relations with senior Chinese army officers. When he was in the top position, his policy was to modernise the army using the model of the US army. But he looked to China for help to realise his ambition. "The Chinese tanks were not so good compared with those from Europe," the source said. "But for Thailand, which did not have much money at the time, it was better to get them than nothing. They were bought at a 50% discount." 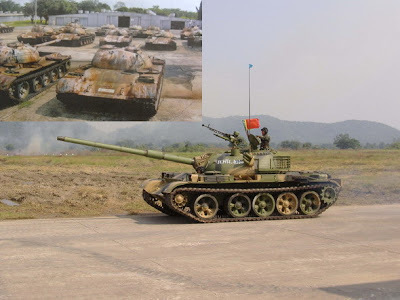 The problem came when the Chinese army stopped manufacturing the tanks and parts became scarce. The Thai army could not afford to repair the tanks, the source said. Maintenance works for the tanks stopped six years ago because there were no more parts available, the source said. KUALA LUMPUR - Kementerian Pertahanan hari ini mengesahkan pembelian dua unit radar pasif tercanggih yang pernah dicipta sehingga kini iaitu Vera-E, dari Republik Czech bernilai RM72.5 juta. Timbalan Menterinya, Datuk Dr. Abdul Latiff Ahmad berkata, pembelian itu yang sebelum ini diklasifikasikan sebagai sulit bertujuan memenuhi keperluan pengawasan ruang udara negara secara berlapis. "Hasil daripada pembelian ini kita memperoleh pemindahan teknologi dalam sistem peperangan elektronik," katanya dalam ucapan penangguhan perbahasan Rancangan Malaysia Kesepuluh (RMK-10) bagi Kementerian Pertahanan di Dewan Negara hari ini. Berbanding radar konvensional yang kedudukannya mampu dikesan oleh peralatan elektronik pesawat musuh, Vera-E mempunyai kemampuan untuk mengawasi ruang udara secara pasif (tanpa dapat dikesan kembali oleh musuh) secara 360 darjah dan sejauh 450 kilometer. Kelebihan dan kecanggihan itu membolehkan mana-mana negara yang mengoperasikannya membuat persediaan awal untuk mempertahan dan menembak jatuh pesawat penceroboh tanpa disedari oleh pihak musuh. 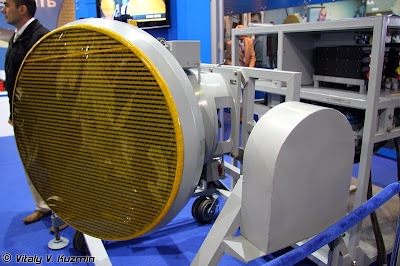 Ekoran itu, Amerika Syarikat telah melarang Republik Czech daripada menjual radar itu kepada negara yang dianggap bukan sekutu yang boleh menjadi ancaman kepadanya termasuk Pakistan, China dan beberapa negara Asia Barat. The Australian Defence Force (ADF) today announced that Multi Role Helicopters (MRH-90s) will recommence flying operations later this week. This follows an incident north of Adelaide in April this year where an MRH-90 suffered an engine failure in one of its two main engines. The Defence Materiel Organisation's (DMO) Head Helicopter Systems Division, Rear Admiral Mark Campbell, stated that media reports alleging pilot error being a factor in the engine failure were incorrect. "There is no suggestion of pilot error as alleged in one UK report," Rear Admiral Campbell said. Eurocopter CEO, Dr Lutz Bertling, has also written to the Minister for Defence Materiel and Science, Greg Combet to directly refute any suggestion that engine damage was caused by improper handling of the aircraft by ADF pilots. Rear Admiral Campbell also said an inspection regime and preventative measures have been developed to lift the current flying suspension. "I can confirm flying operations will commence shortly following approval by Defence's Operational Airworthiness Authority. "Extensive work has been conducted by Rolls Royce Turbomeca and our Industry partners with support from the Defence Science and Technology Organisation to identify the cause of the engine failure. "We are advised the failure resulted from compressor blade fracture due to contact with the engine casing." The impact of the engine failure combined with the workload to address some technical issues with this very capable but highly complex digital aircraft will delay the first flight at sea for Navy, which is now expected to occur in mid 2011. The first Army capability objective of one deployable MRH-90 troop will also be delayed. Of the 46 MRH-90 helicopters ordered for the Australian Navy and Army, 11 have been accepted and are being used for training and testing which contributes to the development of operational capability over the next few years.